Got to shoot Timmy Curran the other day who happens to be one of my all time favorite surfers. I remember watching Timmy in the video about his young life Here and Now, I still have it on VHS, that video was one of my biggest inspirations as a grom. In the video you see him surf a lot of the waves that I grew up surfing and still surf today. TC is a local hero to the North LA/Southern Ventura county crew and to the rest of the aspiring aerial wizards around the world. 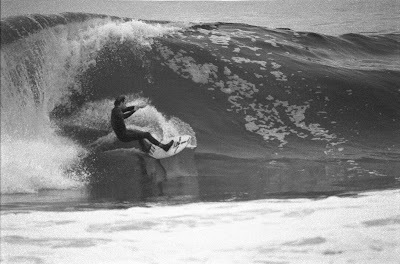 I threw up some old pics I had of him when I would catch him out and about, howz that mid-tube stall? He's been doing backflips for years now as you can see in the top pic. 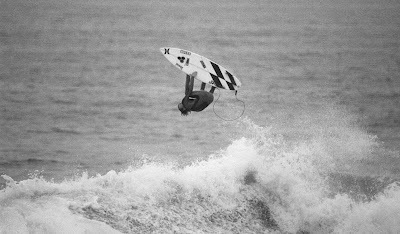 No, he didn't land that one, but this particular day he would get tubed and then come flying out and try one of these backfilps: He always puts on an insane air show and he's an amazing tube rider as well. 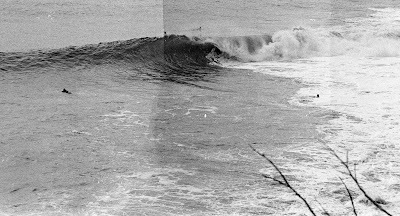 There has been times when I roll up to check the surf and just see somebody boost ten feet straight up, and I just say to myself, Timmys out there. Tim Curran is still one of the most progressive surfers alive and his little bro just advanced in South Africa at the J-Bay Billabong Pro. I will post pics from the shoot if they don't find a better home soon.